Ariel Kahana, Owner, studied industrial design and computer science. As the son of the founder, Ariel gained a great deal of inside knowledge of the art world from his mother. 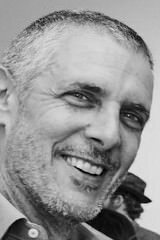 He inherited Agora Gallery in 2001 and has since been involved in the development of the gallery and the integration of new technologies in the art field. Angela Di Bello, Executive Director, brings to Agora Gallery over 25 years of experience in the New York art market, as a private and corporate fine art consultant and as a fine art administrator; representing artists and placing their work with many Fortune 500 companies including AT&T, British Airways, The Federal Reserve Bank of NY, and Pfizer Corp Inc, as well as prominent private art collections. 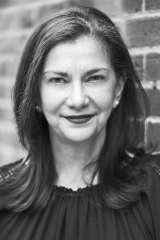 As the director of the prestigious Gallery at Lincoln Center, Ms. Di Bello was instrumental in developing the careers of numerous artists, placing paintings, sculpture, and photography with significant collectors. 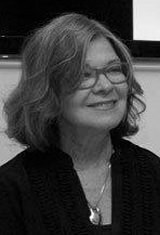 Eleni Cocordas, Director, attended art school in Philadelphia, where she majored in photography and printmaking, along with a BA in American Art History, Eleni has worked for prominent New York museums as MoMA and the American Museum of Natural History and cultural organizations as the Japan Society. For more than twenty-five years she has specialized in collaborations with artists on site-specific installations and traveling exhibitions, for which she has traveled the world-over. 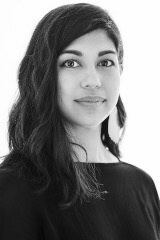 Sabrina A. Gilbertson, Assistant Director, has a BFA degree from Boston University, with a concentration in Painting and a minor in Art History. Sabrina has also studied studio arts at the Scuola Internazionale di Grafica in Italy, and has established an avid appreciation for art in her travels abroad as a studio assistant and in the service industry. 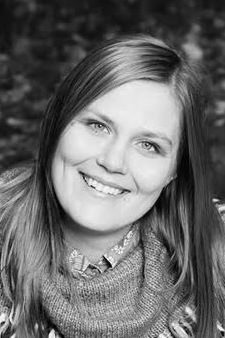 Natalie Adam, Exhibition Coordinator / Registrar, received a BA from Montclair State University in Fine Arts with a specialization in painting, as well as a BA in Psychology. She continues to pursue her appreciation and love for art by taking painting and printmaking classes at the New York Academy of Art. She has experience as a custom framer and designer working with artists to prepare for upcoming exhibitions and art fairs. 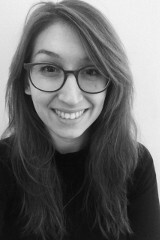 Carolina Carilo, Competition Coordinator, is originally from Bogotá, Colombia, and graduated with a BA in Fine Arts with a concentration in print and a postgraduate degree in Art Education. A skilled workshop artist, she has also worked in cultural management and gained experience in art education. Being an artist herself she loves to help and assist artists during their representation period. Roanna Cada, Graphic Designer, has a Bachelor's Degree in IT, specializing in digital arts. 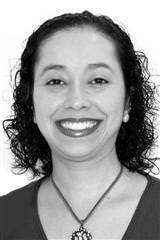 She has years of experience working on web and graphic design. 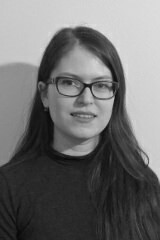 She enjoys working on graphic materials for Agora Gallery, drawing inspiration from artworks of the gallery's represented artists. Gaining new perspectives in fine art, she is fond of reviewing artworks of emerging artists and grasping their passion with their art. 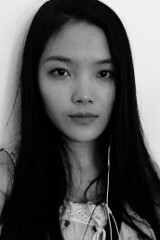 Yuqi Pan, Gallery Assistant, is currently enrolled in BFA Illustration Program in School of Visual Arts. Originally from modern-day urban Shanghai, she appreciates both Chinese and western art and is working toward strengthening the connection. 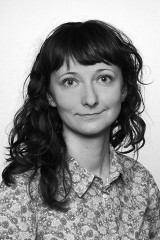 Liza Sokolovskaya, Gallery Assistant, has received an MFA from the New York Academy of Art. Her love for visual arts has guided her studies since an early age and she holds a BFA from Concordia University and has studied at the ESAD Grenoble in France. Being a painter and printmaker, she is extremely passionate in making art accessible to a wide public and supporting emerging artists. 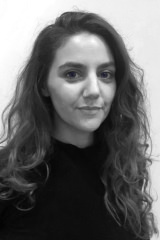 Andra Bilici, Social Media Coordinator, is a communications consultant with an extensive experience in Social media as well as Corporate Communication. 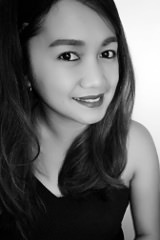 She has studied philology, PR & Communication while pursuing her passion and interest for art. 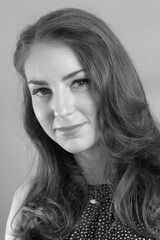 Andra enjoys working on various marketing initiatives, promoting artists during their representation and integrating contemporary art into the fast-paced social media world. 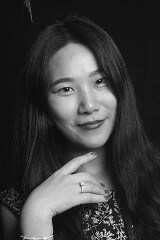 Yueming Qu-McNaught, Public Relations Associate, has two masters – An MFA from Fashion Institute of Technology in New York and an MA from The Central Academy of Fine Arts in Beijing. She is passionate about making art connections between China and United States to foster diversity in Agora Gallery showcases while helping artists locally and abroad. Maria Stella looks through many portfolios of different artists every day, gaining new inspirations for herself from the creativity shared all around the world. A philosopher both in her soul and in her education, she is also a dedicated art lover and amateur musician. To her, art and music are the main sources of a happy life. Bev Santok has obtained a graduate degree in Marketing and Corporate Communications. She is a very optimistic person and enjoys traveling across the globe. She has always been inspired by fine art photographers. 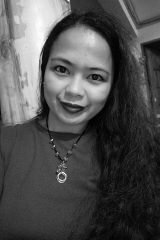 Kristine Cruz has received recognition in the past for her technical and customer support skills. She enjoys communicating with artists and photographers, and is inspired by their creative processes. She brings her experience to help the artists at Agora Gallery. Valentina Visir earned a Master’s Degree in Political Science, but later decided that politics was not for her. She enjoys to travel and the first place she goes to in any new country is always a museum or gallery. As an art lover and amateur photographer, she enjoys discovering emerging artists and their works. 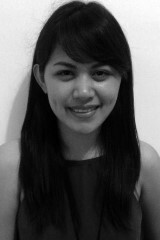 Rosie Castillo spends much of her time experiencing the world through art appreciation, communication, and print media. As a linguist, art plays a vital role in language learning. She believes that sharing thoughts and understanding feelings is essential for human relationships, while language, whatever the linguistic variety, is an uncontested and universal facilitator of this very process. One should not underrate the power of art as an important vehicle of human experience.